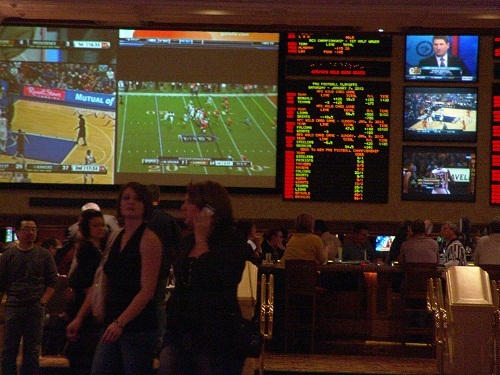 If You are going to bet on sports during Your Las Vegas Visit, You have lots of choices in where to do so. Why not do so at the Best Sports Books in Las Vegas? 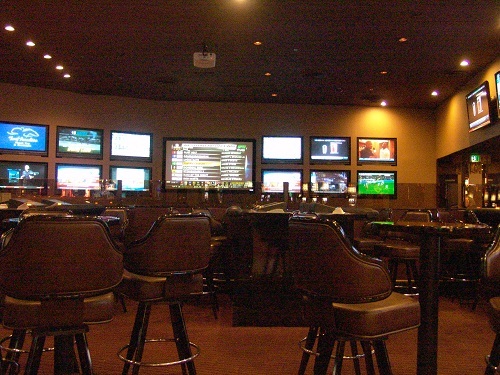 Try to avoid the unfriendly, rude sports books. And if You want to increase Your odds of winning be sure to never bet without this tool. 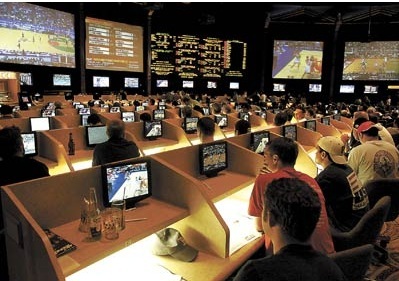 You won't see crowds of People going here for routine betting. 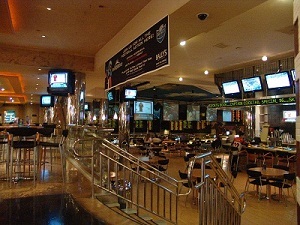 This is more of a Sports Bar and Eatery than a Sports Book. The food here is some of the best in Las Vegas. This is a club and it has lounging areas and VIP areas where bottle service is offered. Even if You don't want to place Your bets at Lagasse's this place is a must see, its extreme luxury. The M Resort is in Henderson but its really only 5 minutes south of Mandalay Bay. If You have a rent car, try this place out. You can see that each seat has four private screens. You will see some big time bettors at this Resort. 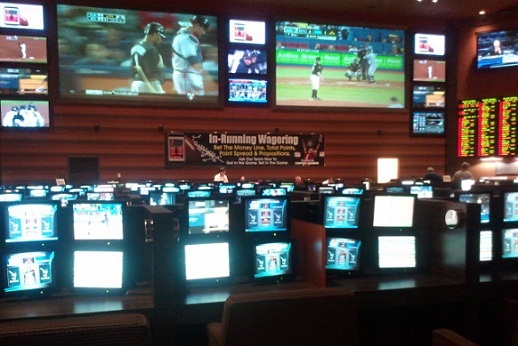 They have remote betting now so You can walk all over the Casino while placing Your sports bets. The sports book at Planet Hollywood is my favorite. Not too fancy but because of the location it seems to always be nearby when needing to place a bet. Its also a great place to go when You have a spouse that wants to shop at the Miracle Mile shops, You can tell Her to take Her time. The Hard Rock Sports Book is brand new, not remodeled. The old Sports Book is now a sports bar. 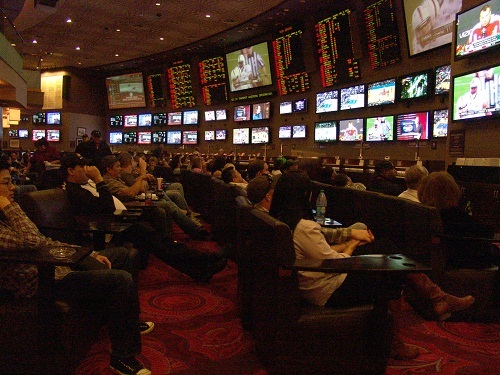 The new book has remote betting and many say is the nicest in all of Vegas. If You didn't see the sports book sign You would never find The Cosmopolitan Sports Book. 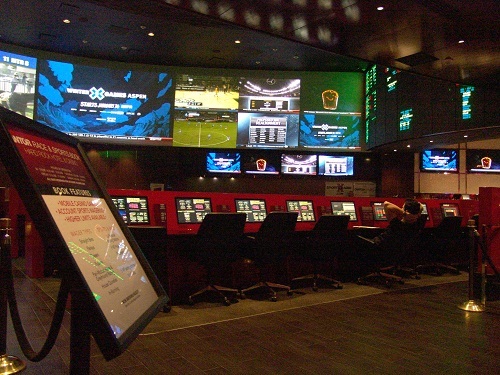 Its more of a lounge than a sports book, They offer the remote betting and the actual betting window is a tiny area in the corner. Update: The Cosmopolitan has a new sports book on the second floor but this first floor book still takes bets in the small booth in the corner. 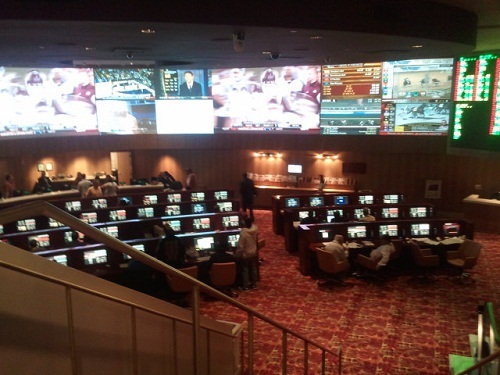 This is a brand new Tropicana Sports book, not a remodel. It is all state of the art and offers remote betting. 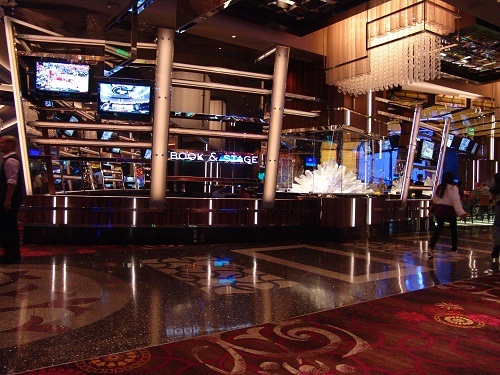 Pick up a tablet and enjoy betting all over the Casino or have a seat and watch Your games. There is a VIP balcony area for big shots. 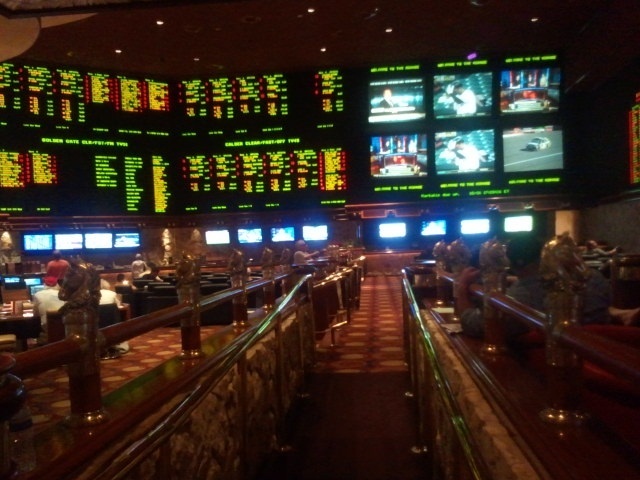 Bally's Sports Book can be a really happening spot on College football Saturday and NFL football Sunday. Its all new with all new tvs but it is in the basement of Ballys and a little off the action. 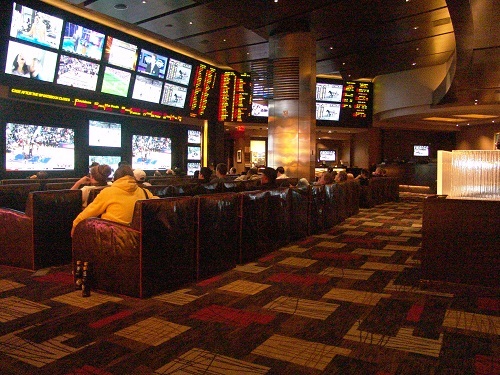 The MGM Grand Sports book made my list of The Most Rude Sports Books in Vegas. But it is in one of the most convenient areas of the strip so People will always go here and it will always be one of the most popular no matter how rude They are. 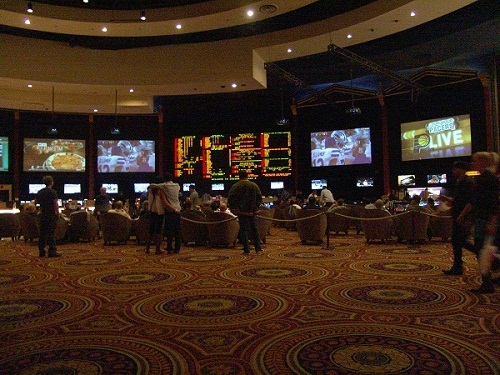 The Mandalay Bay Sports book could be the best in Vegas if not for poor ventilation. The smoke in this Book is Horrible. And this book is really out of the main action of the Strip, stuck way down the south end, not really close to other Casinos. It is also very difficult to use the best betting tool available because the closest sports book that has a different line is a long walk away. If You find Yourself on the North end of the strip, You should check this brand new Circus Circus sports book out. All updated tv's and betting monitors. 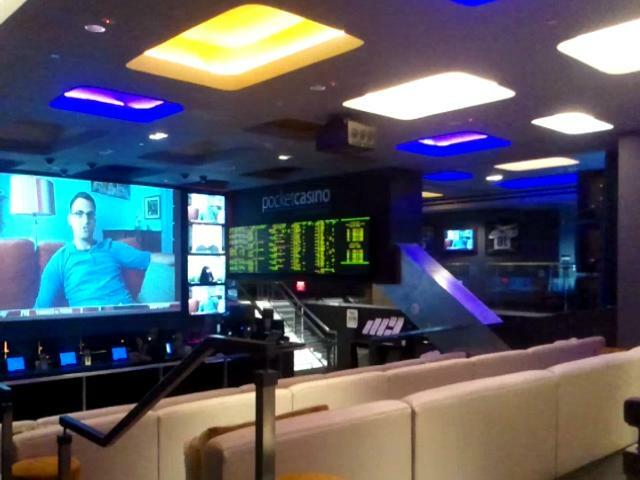 This is the most improved Sports book in all of Las Vegas. The Bellagio Sports book sometimes feels more like a library, No One gets excited but its worth a visit just to see the expensive furnishings. T.I. Sports book can be one of the busiest in Vegas. Get There early on game day. Good food and all updated. Caesars used to be the best sports book in Las Vegas. Its still one that some People must go to but its now dated especially compared to the high tech ones. 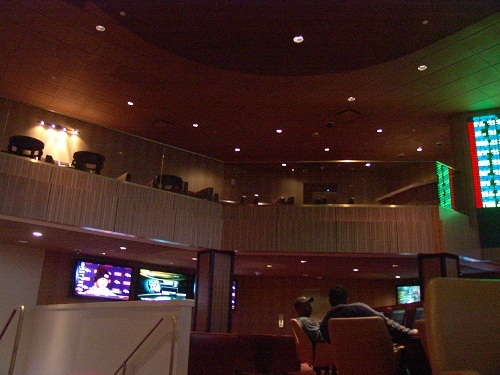 Tropicana, like many Las Vegas Sports books have VIP seating. At Tropicana that seating is the balcony.